David J. Boczar, a CERTIFIED FINANCIAL PLANNER™ professional and a Chartered Financial Analyst (CFA) charterholder, has over 30 years of experience in the global financial services industry in investment research, money management, advisory, compliance, and banking. He has conducted fundamental equity and fixed-income research in the U.S., Latin America, Europe, China, Japan, Asia and Africa. One of under 2,000 professionals with both the CFP certification and the CFA designation, David is uniquely positioned to help you make informed decisions about issues that affect your financial well-being. 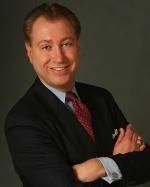 David is committed to acting as your key trusted advisor and assisting his clients comprehensively in areas such as asset management, capital preservation, retirement planning, educational planning strategies, risk management/insurance planning, estate planning strategies,* wealth transfer and succession planning. Working closely with David, together he and you can create a written plan to get you where you want to be, and where you need to be. David looks forward to the opportunity to join you and your family on this important journey. * Please seek the guidance of your professional tax and legal advisors before making any decisions. Emerald Wealth Advisors is an Investment Advisor registered with the State of Connecticut. .